HomeThe Book Fair was a success! The Book Fair was a success! Wow, what a busy, exciting week we had! 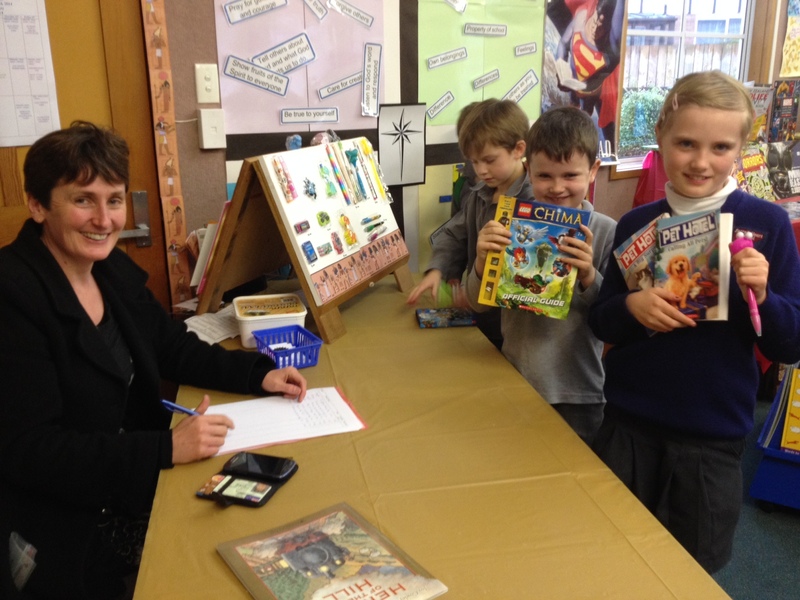 Many thanks to everyone who took part in the book fair, whether you were a visiting speaker, an organiser, a parent helper, or if you dressed up or took part in anyway. Special thanks to people who purchased books. We sold $1850 worth which means we receive $555 back from Scholastic which be spent on new books for our school library. Importantly this Book Fair was an opportunity to further develop our children’s literacy, to expand their interests and to look at the wider world of information and learning. We were honoured to host a splendid array of speakers, authors, scientists, and readers who all inspired the children (teachers and parents!) with their words, their stories and activities. We’re sure these events, and access to some new exciting reading material will help inspired our children to read and write even more! Image source: Ann Cronin, used with permission.